Mass Downloader (or MassDL) allows you to set a number of files or locations that will be downloaded manually or daily at a predetermined time. The files can be downloaded to either internal RAM or on a VFS card. I personally use it to have a centralised way of updating applications and to get daily updates of some files I need for my work. Apart from normal entries, the application supports scripting. This would allow you to create an automated file on a serve which contains a list of files to be downloaded. When MassDL downloads the file it would then download the files contained in it. Multiple scripts can be staggered, so you can have a script which downloads a number of other scripts which in turn contain the files to be downloaded. The script format can be found here. You must add the program to Uncache's whitelist in order for the alarms to be reinstated after a reset. For the SSL support to work, the SSL library must be on your device. If Blazer can open SSL links normally then you are fine. Keep in mind that all SSL warnings and errors are suppressed but they can be found in the error log. Both 'Append Date' and 'Altern. mftp' are inherited by all the DL's started from an entry. That means that if you start a script from the UI, then all DL's will use them. To download all the files in a FTP directory, use 'mftp' as the protocol. Something that needs mentioning is the 'Altern. 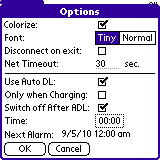 mftp' option. By default, the app will download a file, close the connection, see if the file is a script, execute it if yes or it will move on to the next item. The problem is that this could be seen as hammering if multiple files are downloaded like this in quick succession. So, if you don't have a script in the server, you might want to use the alternative method which is more graceful (it is also faster BTW). On the other hand, if you are sure that the server is fine with it use the standard method. Just to clarify, downloaded scripts will not be executed using the alternative method. I will be fixing this when I get a bit of time. I don't have the time right now to rewrite that part of code. v0.51b: Fixed an embarrassing bug where the alarm would be disabled after a reset. v0.55: Added basic authentication and SSL support. v0.55b: Fixed a bug which could cause a reset loop after a soft reset. v0.60beta2: Bugfixes, added support for comments and the opening of scripts from external cards. v.0.60beta3: More bugfixes, added a centralized log file, fixed a double alarm issue, tweaked the file browser. v0.60beta4: Added support for word 'wildcards'. UI changes. v0.60beta5: Code cleanup, you can now see the script line being downloaded. v0.62: Can now DL full ftp directories. v0.63: Added option to only DL when charging. Changed the logfile layout. v0.63cbeta1: Improved support for queries (note that the resulting filename might be the name of the query script), fixed a bug where when using wildcards, the URL would get permanently overwritten, UI changes (10/06/2008).